Bill Odidi is a Chief Radio Producer with the Kenya Broadcasting Corporation in Nairobi where he is currently in charge of the English Service Radio. He is also a Newsreader on KBC Channel One TV. 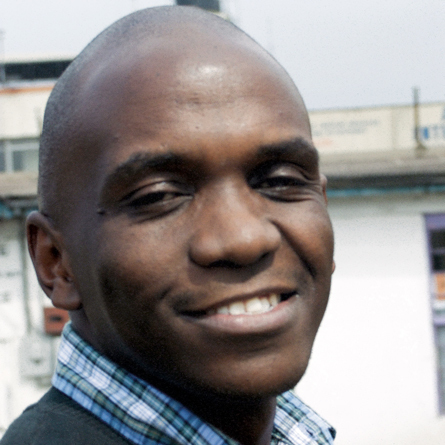 He has over 10 years experience in both the print and electronic media, having trained as a journalist in Kenya, India, and Egypt and had work experience with the BBC Africa Service in London, U.K.
Bill worked as a presenter for Radio France International on the arts programme “Bonjour Culture” from 2009 – 2011. He has a weekly column on music and art in the Business Daily Newspaper and you can also read his articles on the Daily Nation and online at www.africareview.com. During his career as a journalist, Bill has traveled to many parts of the world including The U.K, Jamaica, The Netherlands, The U.S, Egypt, South Africa, Ghana and all over the East African region. His most memorable assignment was reporting on the Inauguration of President Barrack Obama in Washington D.C in January 2008. He has interviewed high profile personalities like U.S Secretary of State, Hillary Clinton, music stars including the late Lucky Dube, renowned South African acapella group Ladysmith Black Mambazo, and Jamaican legend, Burning Spear among others. His other interests are news, current affairs and sports. In 2006, Bill was the winner of the Radio for Peace building, Africa (RPFA) “Radio Talk show for Peace building” Award for The Breakfast Show.